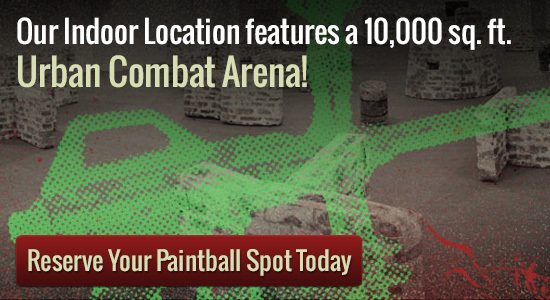 Searching for indoor paintball in Minneapolis? Splatball is just what you are looking for! Almost anyone can enjoy a game of paintball at Splatball in Minneapolis. It combines a mix of action and strategy that’s difficult to find any place else. This potent combination of fast-paced action and teamwork causes adrenaline to spike as well as become addicting. Playing a game can be done individually or in teams. Eliminating your opponent is done by shooting them. You shoot them with a capsule filled with a water-soluble dye. Different games like Capture the Flag, Opponent Elimination, or Find the Hidden Treasure can be played. Scenarios where you are defending a place or attacking different areas can also be set up. Games like these can last hours or days depending on the game played. Whether this is your first time or you are an expert at playing the sport of paintball, safety equipment is important. Follow the safety guide lines set by the arena and always wear a mask. It can be nice to wear long pants and long sleeves too as this will alleviate the sting a bit. Remember Splatball and Splatball as your premier paint ball arenas.